Home / Latest TBV News / Manhattan Rain flew the flag for Victoria in the Melbourne Cup! Manhattan Rain flew the flag for Victoria in the Melbourne Cup! Blue Gum Farm’s Phillip Campbell was thrilled to see Runaway step out at Flemington in the time-honoured Melbourne Cup proudly flying the flag for their stallion, Manhattan Rain and the Victorian breeding industry. “Manhattan Rain has quite amazingly sired a Golden Slipper winner and twelve other Group or stakes winners and here he is with runner in the Cup – it would have been a dream come true. It was a great effort by Gai and Stevie Baster and we are so proud to have been involved,” Campbell said. And although most of the team were watching from the farm with the breeding season still in full swing, all have been in awe of just how well Manhattan Rain has performed in the covering shed. “He is just no-fuss, deadly fertile and is working through his substantial books very well. 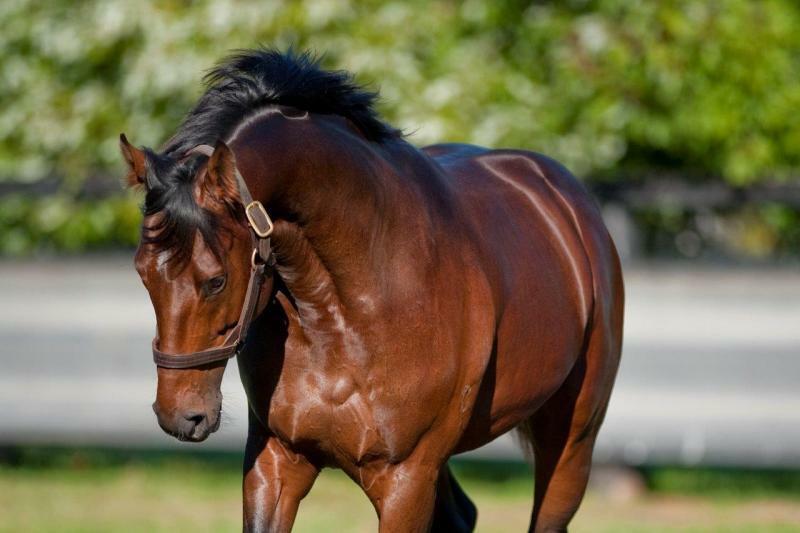 There are a number of influential breeders who have returned their mares this year, and as some mares are now struggling to get in foal to other matings, his book continues to grow as the season continues,” Campbell said. “When you see so many breeders rushing off to unproven first season sires with substantial service fees, without knowing if they can get a runner or not, Manhattan Rain is brilliant value at $17,500. He is tried and true, still a young horse and doing a marvellous job,” Campbell said.